Nokia CEO Stephen Elop seems to be tempting fate, encouraging Microsoft to make a Surface phone of its own. While Microsoft is launching the Surface tablet with Windows 8, the company has not announced any plans to make its own Windows Phone 8 handset. 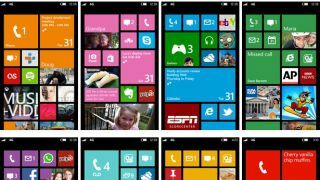 Elop thinks it would be a good idea, not just for Microsoft, but for the whole Windows Phone 8 ecosystem. "It's certainly a stimulant to the ecosystem," Elop told investors in a conference call. "We're encouraging of HTC and Samsung and Microsoft or whomever to have devices in the market and to be making whatever investments that helps spur the ecosystem on," he continued. Microsoft may not have announced a Windows 8 smartphone, but recent rumors suggest a Surface-branded handset could still be on the way. Such a move would fit the company's lead-by-example approach to hardware that it's taking by launching the Windows RT Surface tablet alongside competing OEMs. However, if a Microsoft-made Windows 8 handset is coming, it will not arrive before the end of the year. That leaves Nokia in a comfortable position with its own Lumia line of smartphones having a healthy head start over any potential Microsoft offering. Nokia should not be too comfortable though, as it will still launch against the Huawei Ascend W1, Samsung Ativ S, and the flagship Windows Phone 8 HTC 8X. But as Elop says, more competition is good for the Windows Phone 8 ecosystem as a whole, and with the launch coming soon the competition is about to ramp up.